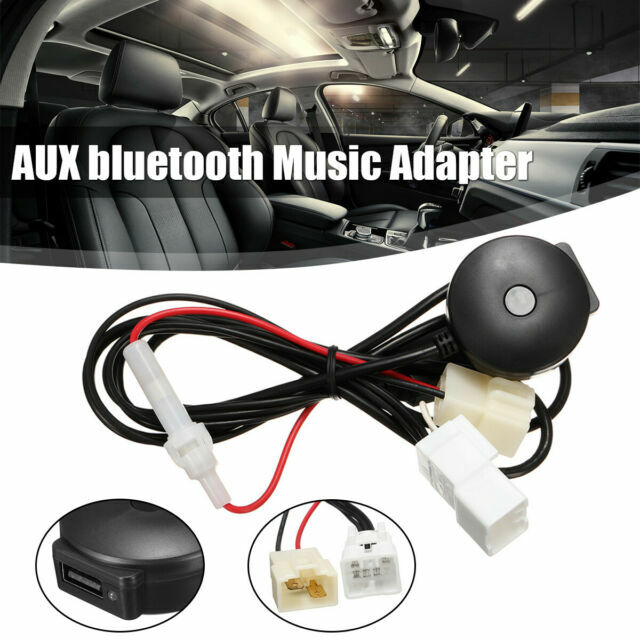 Car Stereo Radio Aux Auxiliary Adaptor bluetooth Cable For Ford Ba-Bf Falcon. Ford Falcon (BF) 2005 to 2008. Ford Falcon (BA) 2002 to 2005. 1x AUX Adaptor Harness. bluetooth version: bluetooth v4.0 with EDR is supported. It's easy to install, as long as you are able to lie on your back in the driver's footwell to see the connectors. It would be better if it came with a strip of good quality double sided tape to stick the reciever on the dash somewhere. The sound quality is really good, whether you've got the Regular ICC or the Premium Sound ICC in the car. It was easy to install and worked fine for the first few weeks but then its become significantly quieter even after disconnecting and reconnecting both plugs for the adapter. Easy to connect though. Garbage. Is not for Hands-Free calling. 1. Don't buy this thinking it will give you Bluetooth Hands-Free for Phone Calls. It doesn't. Only gives Audio for music, etc. 2. Zero instructions come with this. You'll have to Google. 3. If you shake the module, it disconnects. 4. Don't bother. Waste of time and money. Purchased this item,plugged it in no bluetooth connection with my phone, through it in the trash,bought exactly the same thing from a local supplier, worked as soon as I plugged it in.